Shortcut virus are the most common virus found in pendrives or PC. These virus usually comes from downloaded files from internet or from pen-drives. Hence it is important to know the permanent solution to remove shortcut virus from pendrive. Also know that installing an antivirus will not solve this problem. Since most of the antivirus ignores such shortcut virus. In this post we will give you a permanent solution to remove shortcut virus from pendrive. But before that we must know what they are and how to find them. Shortcut virus are of two types. One of them is found in pen-drives/flash drives. 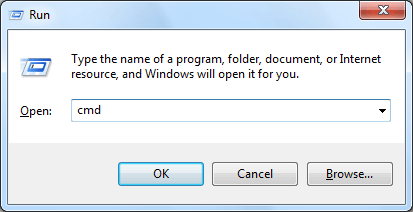 And the other one is folder virus usually found in drives where you have copied downloaded materials. The most common extensions of these virus are: .EXE, .VBS, .INI, .LNK. These virus are not dangerous but are annoying. Most of them are scripts that runs only when you will click them. Other are just shortcuts and links of other files. For example, shortcut virus in pen-drives are usually links to the files inside it. 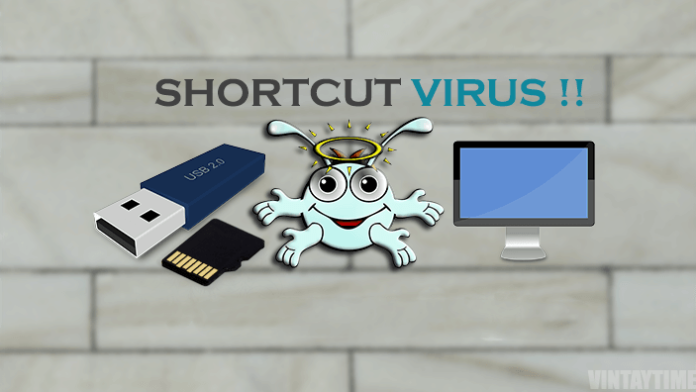 Below are some methods to remove shortcut virus from pendrive or Hardisk. This method will remove shortcut virus using cmd. Don’t open it using auto-run or file browser. Click on the start menu open the Run and then type cmd and hit enter. Copy paste the below command on your cmd. Click enter. Replace the letter I with your pen-drive letter. Here:-H will show the hidden files in your USB drive.-R will recreate files on your storage device.-S breaks the link of files from system. After running the command on cmd, open your pen-drive. You can find all the files there without and shortcut virus. Download and install this shortcut virus removal tool from above given link, or click here. After plugin in, this software will start scanning your pen-drive. Or you can manually open it and scan your pen-drive. After scanning it will generate a report of infected files and shortcut virus. Click on Fix all to remove shortcut virus from pendrive. Run chkdsk command on your cmd. To open cmd, press Windows key + R. This will open run command. 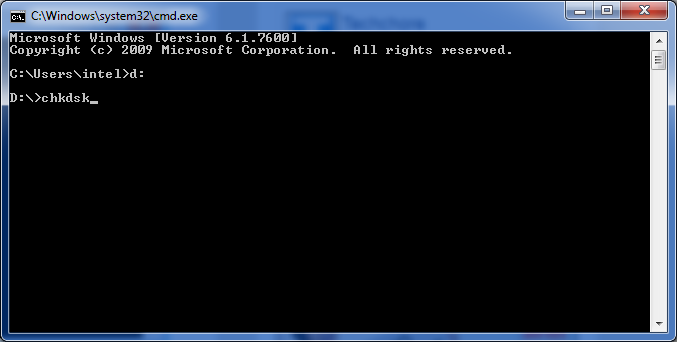 Type cmd and command prompt will open. Or you can search cmd on start menu. Type the drive letter where your infected file is on. For example if your drive letter is D, the type d: and press enter. Now type chkdsk and wait for a second. It will scan your drive for errors and bad sectors. If you are still getting shortcut virus, the your PC might be highly infected. Hence, you will have to perform another method to completely remove shortcut virus. Below is a fix. Download the below shortcut virus remover tools to fix your problems. Download the below given files and install them. Download RKill and run it. To stop any malicious processes including shortcut virus. Install SmadAV Antivirus. If you have installed it earlier then skip installing it again. After running RKill and Rouge kill scan your PC with Malwarebyte. This scan might take time depending upon your Disk size. After scanning run Smadav and scan with it as well. Restart your PC. If you are still facing any problems then comment below. Tags: remove shortcut virus from pendrive, fix shortcut virus, usb shortcut virus, command to remove shortcut virus, shortcut virus remover, shortcut virus, virus, usb virus.